This passage from Havel’s Power of the Powerless, is a favourite one for critics speaking against ‘the system’ – whether it is a civilizational or specific political system. They use it to add weight to their apocalyptical vision of the societal disintegration and an ever deepening sense of crisis, which Havel himself describes as an “overall failure of the modern man.” Their ranks are further joined by a variety of pioneers advocating new principles and seeking comfort in naive fantasies that reassure them that the current societal crisis – which exhibits itself in various forms starting from financial market collapse and growing economic inequality, to the breakdown of democratic politics, mass migration and ecological catastrophe – has a moral solution. Power of the Powerless however, must not be read as some form an analytical critique of society, an emancipation programme or a guide to social activism. It is meaningless to attempt to classify the text in political, ideological or philosophical categories. Who is now interested if Havel was a “right-winger” supporting, and supported by, the West, or if he was a “left-winger” dreaming of an alternative to parliamentary democracy and the Market? After all, how necessary is it to argue whether emphasizing ecological problems of humanity is an exhibition of conservative or radical tendencies? Isn’t the difference between political realism and idealism, which has now become an intellectual cornerstone of politicians and their advisers, simply a symptom of political and intellectual helplessness? It is these logical inconsistencies that contain the argumentative and literary magic that allow the die-hard democrat Havel to express his fears about human freedom in the language of Martin Heidegger, who was not the least bit concerned with democratic society and its freedoms. Even the subject of the essay is paradoxical, for power is attributed to those who are in their powerlessness pushed to the very edge of society, if not beyond. The interplay of contradiction often leads readers and interpreters of Power of the Powerless to rather unoriginal thoughts about the “powerlessness of the powerful”, with its somewhat automatically emerging corollary of “power of the powerful” and “powerlessness of the powerless.” Understanding Power of the Powerless, both in the literal and metaphorical sense, however, requires first and foremost understanding the power of paradoxes, which creates the bases of Havel´s dramatic text structure and through which he describes the meaning of dissent as an existential revolution in any – also in open and democratic – society. Understanding the power of paradoxes and contradictions of modern thought and civilization, opens the door for a clearer understanding of the dismal situation in Central Europe, where only a quarter century after the fall of the Berlin Wall, the democratization is in retreat. Instead, Hungarian Prime minister Viktor Orban has initiated a construction of what he terms a “national state founded on labour”, and what the victor of polish parliamentary elections Jaroslaw Kaczynski refers to as the “reconstruction of the state” and the establishment of a “fourth republic” which will put an end to the supposedly immoral liberal regime constituted after 1989. 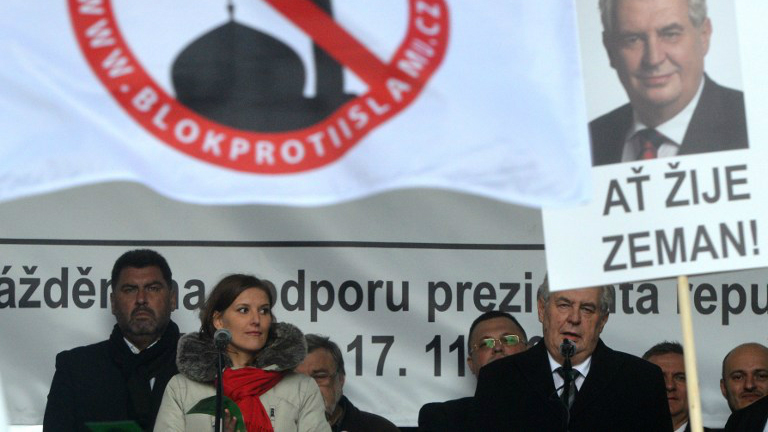 Czech President Milos Zeman belongs to this group of leaders. He celebrated the anniversary of the Velvet Revolution surrounded by xenophobic politicians and activists, and his Christmas time address to the nation concluded with a controversial statement: “This country is ours. And this country is not, and cannot be, for everyone.” Not a word was dedicated to Christmas or (Baby) Jesus, who coincidentally happened to be a political refugee upon his birth as well. Although nobody is suggesting that this country should be “for everyone”, the president’s verbal gymnastics emphasized the fact that “we” does not mean “them” and therefore we can refuse “them” even elementary aid. Instead of an existential revolution, we now have a situation in Europe where we are witnessing a paradoxical counterrevolution that attempts to upgrade politics into a question of an existential life-and-death decisions. Yearning for power is as intense as the hatred of modern man and his aspirations for civil rights and democratic government. Ideas of the nation as a collective of blood and soil, cultural heritage as a hammer against the “foreigners”, the state as a corporation, public services as a private enterprise or science and education as a branch of industry are all different forms of the same manifestation of hatred. To understand our current social crisis, which is not just a political or economic crisis, we must contemplate precisely this paradox of barbarianism coming from within our civilization. Tied to this paradox is the call for an existential revolution, which however must not become an ideology of political existentialism in which the absoluteness of the collective will promises to solve the absurdities of individual life, and where political power demands the right to decide about the life and death of its citizens or even entire groups of people. According to Havel, an existential revolution must predate even the moral and political reconstruction of society. It consists of resistance (and finding alternatives) against the “self-propelled” society that relies on the omnipresent technologies which further cement their power. It is a revolution where – in Havel’s words – lies the intention of life against the intentions of the system. Havel´s vision of a determined revolt of life against the system is markedly similar to Habermas’s heroic, albeit futile attempt to bestow legitimacy of contemporary society with its functionally differentiated system of politics, economics, law or science in the now mythical lifeworld (Lebenswelt), with which in the last century the scientifically strict phenomenology and the poetically speculative philosophy connected the hopes of humanism. It is a revolt against a world in which the system is just another name for totalitarianism that creates itself and inhibits the forces of life from being realized. If, however, the concept of an existential revolution (and with it the power of the powerless) should still retain any meaning today, it must not be simply juggled around in front of the veil of society, on the contrary, it should be understood as a battle of vocabularies used right on its stage. It must not, therefore, be a battle between life and the system in which life would triumph as a fundamental quality of any system that seeks to bestow legitimacy upon itself. It is so because life is not situated outside economic, political, judicial or technological structures but it manifests itself within them. Every contest for legitimacy therefore lies in the struggle for language through which these structures describe themselves, and not in some pre-political ability of the human reason to rupture these manipulative structures which the reason itself has created. Self-creation of the system, in contemporary sociology termed autopoiesis, is not based on maintaining of social totality, but on validating and expanding the differentiation of modern society. Political power of the powerless therefore does not lie in an act of the powerless in which the cloak of the world would be theatrically torn off and, through their life in truth, would show the “true face” of power veiled under an ideology trumpeted from the podiums of what the German Jesuit Franz Neumayr as early as the 18th century dubbed the theatrum politicum. Everyone, including the dissidents, is part of this theatrical performance, because the participation in it cannot be predetermined on the basis of some “life philosophy” or even personal or collective will. Societal crisis does not consist of simple contradiction of poetic life and an autopoietic system. 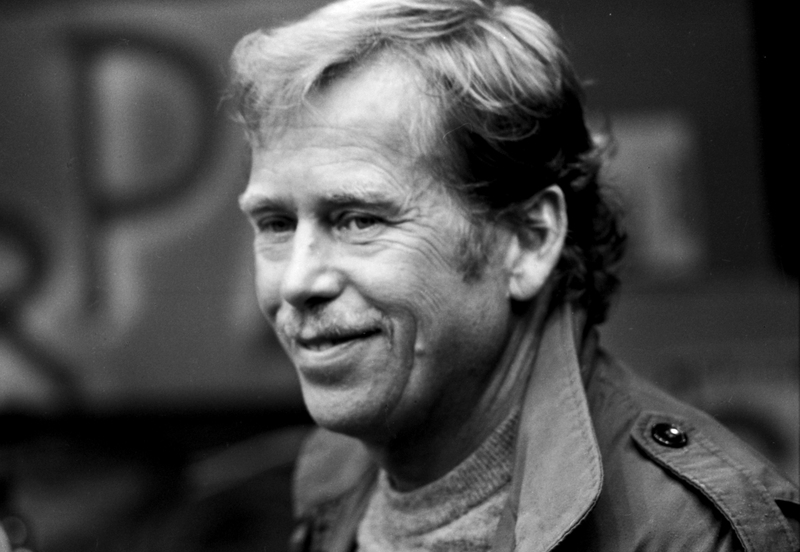 Havel’s call for an existential revolution must accordingly be specified and in a way radicalised because an existential revolution can no longer be classified as a record of human intentions guided by truth against the fallacies of complex civilizational “self-totality” that manipulates man with the omnipresent temptations of consumer lifestyle and the tranquilizing bureaucratic performance. The distinction between “living in truth” and “social deceit” is not sufficient in describing the complexity of power and the strategies it employs in contemporary society. Havel’s essay is even more pertinent today due to its ability to relativize every seemingly absolute vocabulary, whether we are talking about politics and its ideologies, law and codification of society into legal/illegal dichotomy, economy with its rational laws and wholly irrational consumption, or the technologies mindlessly monitoring our own performance. And precisely from this relativization does the resistance against the politics of absolute fear and hatred emerge. The existential revolution and dissent connected to it is thus not morally fundamental but autopoietic, self-actualizing resistance against all politics based on an existential threat and understood as a battle for life and survival of the group. In his 80’s song Královna noci [Night Queen] Vladimír Merta sang of the “armies of the day” and “armies of the night” and a man who finds himself “forever and ever” on the threshold of those two worlds and wants to escape from “their paradise” but does not know where to go. Merta captured the essence of what Jan Patočka described in his Kacířských esejích o filosofii dějin [Heretical essays in the Philosophy of History] as a drama of freedom fighting the onslaught of modern civilization which relentlessly mobilizes man as to make him fear for his very life and keep him in the shackles of fear. How are we then to understand Havel’s conception of an existential revolution as a revolution of human rights that must be defended as a “truth”? To better understand these “truths” let us remind ourselves of a meeting with dissidents of Eastern Europe in Paris organized by Michel Foucault in June 1977 at the time of Leonid Brezhnev’s official visit to France. 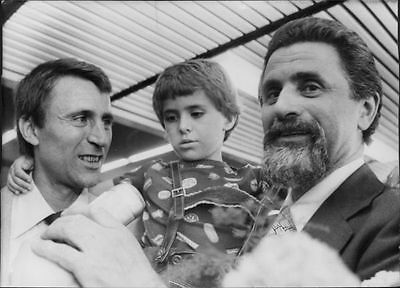 The Soviet doctor Mikhail Stern was arrested in 1974 following his refusal to submit to KGB pressures to dissuade his sons from their intention to emigrate to Israel. In a show trial he was accused of accepting bribes and was sentenced to eight years in prison, despite the fact that witnesses repeatedly testified to his innocence. The monstrous injustice committed by the communist regime was self-evident, but Foucault was interested in the witnesses of this proceeding – ordinary people that overcame their fear in the face of a repressive regime and came forward to “tell the truth”, and in defiance of the physical oppression of the state were able to say NO. The truth is consequently not something abstract or objective, but is always placed within some context, whether it concerns state violence and the judicial system, or a scientific laboratory and a philosophical seminar. It is not just about what is said, but in what context it is said, and with what consequences it is being said, which people are convinced to be a truth that must be spoken and published. 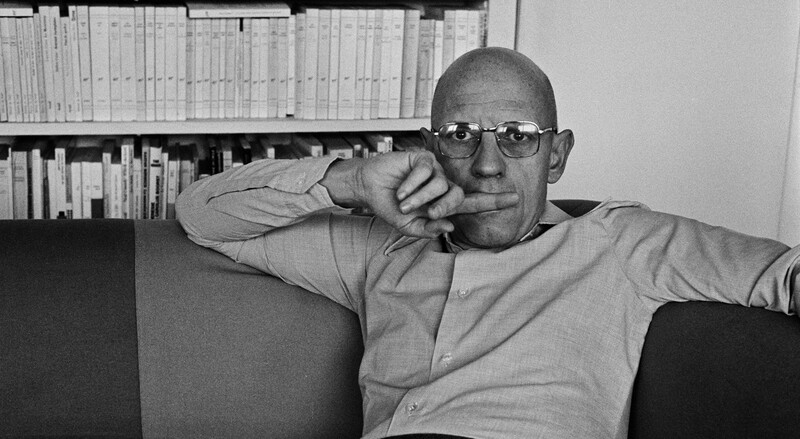 Foucault precisely rejected the primitive Marxism and its idea of an economic base and a political superstructure, in which there is a battle between the exploiters and the exploited, and in which only one group is the carrier of historical truths and progress. As became evident during Foucault’s historical TV debate with Noam Chomsky, Foucault likewise rejected the moral crusading and naïve ideas of parts of the left about rights and justice as natural attributes of humanity which every government must adhere to, and about which political struggle takes place and in which universal humanity manifests itself. Instead of these metaphysical projects, Foucault instead focused on what he coined the micro-physics of power. During a detailed reading of Havel’s Power of the Powerless we discover the same fascination with power that was typical for Foucault’s philosophical endeavours to which he devoted himself during the 70’s and 80’s. For both, power and powerlessness was a social, not a political problem. Power and powerlessness were a momentary constellation and an outcome of capabilities and strategies which man encounters at every corner in our planetary civilization, whether it concerns the consumer society of Western civilization or the post-totalitarian regimes that are, in vain, struggling for a comparable level of legitimacy as those with an ideology of economic growth and consumerism connected with bureaucratic and technical performance. Havel divides power into a physical and metaphysical realm, that is, a manipulative mechanism of oversight over all citizens and the ideological justification of that manipulation. Post-totalitarian systems no longer propagating an ideology that demands the unity of the world proletariat, instead they seek to coerce the manager and even the ordinary fruit vendor by means of normative societal pressures to conform in order not to have “have problems”. Ideology is thus a bridge between man and the system, but in reality it is the “self-propelled” nature of the system that creates this “life in a lie” which must be rejected in the name of the “truth”. Moreover, Havel doesn’t call upon the fictitious character of the fruit vendor to do anything less courageous than Foucault admired about the witnesses of Stern’s “ordinary process” that is to say NO. Even this statement presents a peculiar microphysics of power; which is tactical and strategic, because it realizes that this kind of truth presents first and foremost a resistance the stronger, the more it seems powerless in the face of state violence and the judicial system. Normalization isn’t just a specific historical period of Czech society after 1968 connected with the entrenching of the political regime, but a much more general strategy of power in modern society. The dissident is then not a physicist of power guaranteeing the functionality of the political system, nor it is metaphysic guiding the ideological struggle about what ensures the legitimacy of such system. He is a microphysicist of power, who with his NO forces the system to react, thereby strategically and effectively delegitimizing it. Dissent is a microphysics of power of the powerless that can solely breach the physics and metaphysics of state power. The dissent’s existential revolution is chiefly a rebellion against political existentialism that reduces politics to problems of bare life and survival in perpetual fear – and the feelings of hatred that emanate from such fear. It is a constant reminder that every politics is existential only to the degree that man finds meaning in his own existence. The meaning of our existence is nevertheless not depleted in politics, and therefore no politics is, and must not become, a determining to the meaning of our lives. Jiří Přibáň is a professor of law at the Cardiff University. He was also visiting professor or scholar at European University Institute in Florence, New York University (Prague Office), University of California in Berkeley, University of San Francisco, University of Pretoria, The Flemish Academy in Brussels and University of New South Wales, Sydney. Jiří Přibáň has published extensively in the areas of social theory and sociology of law, legal philosophy, constitutional and European comparative law, and theory of human rights. He is an editor of the Journal of Law and Society, member of the Editorial Board of New Perspectives and a regular contributor to the Czech and international media. This article has originally appeared in Czech in the Salon section of Novinky.cz.